Penguin Press HC, The, 9781594203091, 576pp. When Charles Dickens died in 1870, "The Times" of London successfully campaigned for his burial in Westminster Abbey, the final resting place of England's kings and heroes. Thousands flocked to mourn the best recognized and loved man of nineteenth-century England. His books had made them laugh, shown them the squalor and greed of English life, and also the power of personal virtue and the strength of ordinary people. In his last years Dickens drew adoring crowds to his public appearances, had met presidents and princes, and had amassed a fortune. 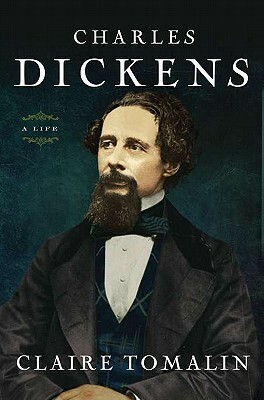 "Charles Dickens: A Life" gives full measure to Dickens's heroic stature-his huge virtues both as a writer and as a human being- while observing his failings in both respects with an unblinking eye. Renowned literary biographer Claire Tomalin crafts a story worthy of Dickens's own pen, a comedy that turns to tragedy as the very qualities that made him great-his indomitable energy, boldness, imagination, and showmanship-finally destroyed him. The man who emerges is one of extraordinary contradictions, whose vices and virtues were intertwined as surely as his life and his art. Claire Tomalin is the author of eight highly acclaimed biographies including "Thomas Hardy and Samuel Pepys: The Unequalled Self," which won the 2002 Whitbread Book of the Year Award. She has previously won the James Tait Black Memorial Prize for Biography, the Whitbread First Novel Award, the Hawthornden Prize, the NCR Book Award for Non-Fiction, and the Whitbread Biography Award. "As Claire Tomalin demonstrates in her vivid and moving new biography, Dickens’s own life was rich in the attributes we call “Dickensian” — shameless melodrama, gargantuan appetites, reversals of fortune... To encompass this frenzy, Tomalin keeps the story racing. She brings Dickens to life in all his maddening contradictions... Dickens walks off the page, and the pace never flags. Tomalin accomplishes this resurrection in a mere 417 pages of text, supplemented by dozens of illustrations, several maps of Dickens’s London and a helpful dramatis personae... if you plan to read only one biography of the most popular Victorian writer, it should be this one." "Enormously ambitious... admirable... warmly sympathetic and often eloquent."